The benefits of fatty fish. Fish is a unique product. It absorbs and relieves the feeling of hunger, enriches the body with vitamins, minerals and other nutrients that are necessary for normal human health. And yet in its composition contains healthy fat, recommended consumption of both physicians and nutritionists. However, in large quantities it is present only in some varieties of fish. First of all, to the oily varieties of fish include all species of salmon. Among them especially popular in Russia are salmon, trout, and salmon. The fat content in them, depending on the season, can range from 10 to 20%. Meat of this fish is tender, tasty and does not contain small bones. Representatives of this species are ideal for pickling and preparation of the second dishes. However, the shelves are normally only found that salmon fish that are grown on special farms. Keeping cages and feeding special kombikorma somewhat degrades the useful properties of such fish. That's why it is better to give preference to caught in natural waters chum or Chinook salmon, which are fatty varieties. Representatives of the sturgeon family, too, contain in their composition a lot of fat – about 10 to 15%. These include: Beluga, stellate sturgeon and sturgeon. Meat of these fish is you can cook any dish, including soup, jelly and barbecue. Suitable such fish and as a filling for various cakes and pies. To fatty fish include herring – it is almost year-round produce in the Pacific and Atlantic ocean. Moreover, the fat is the one that was caught it from the Pacific ocean. Cost herring are much cheaper salmon or salmon, and the number of healthy fatty acids, it is not much inferior to the more expensive varieties of fish. A little less fat are considered as whitebait and sprats, which are more suitable for frying and making soups. To the oily varieties of fish also include: anchovy, sardine and mackerel, coho salmon, sockeye salmon, sole, halibut, mackerel, escalar, mackerel. Of freshwater fish are considered the most obese carp, catfish, carp and carp – it is better to smoke, pickle, pickle or fry it. Use fatty fish, for the body is enormous. In the composition of its fat is composed of polyunsaturated fatty acids that the human body itself is unable to produce enough. They are beneficial to the joints, heart and vessels, brain and vision. Prevent the formation of cholesterol plaques. Furthermore, it is in fatty fish contains large amounts of vitamin A and D rich in this product and vitamin B. To reduce calorie oily fish, it should be prepared in the oven and steamed, rarely – on the grill. The product should be added only a minimal amount of olive oil and spices. Then this fish will bring maximum benefit and will not harm the figure. Fish occupies a worthy place in the list of foods for proper nutrition and healthy eating in General. 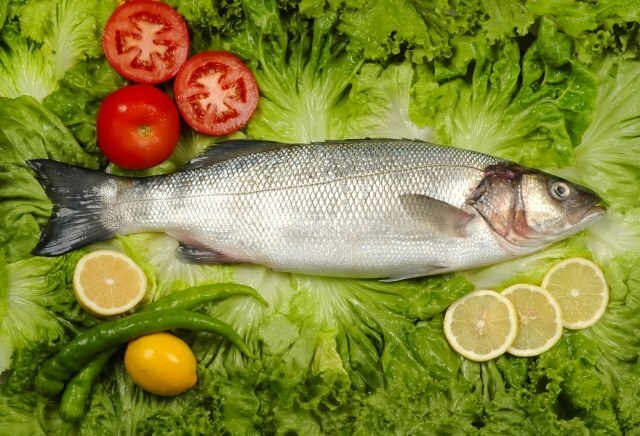 Many diets provides for the use of fish as less calories as an alternative of meat. 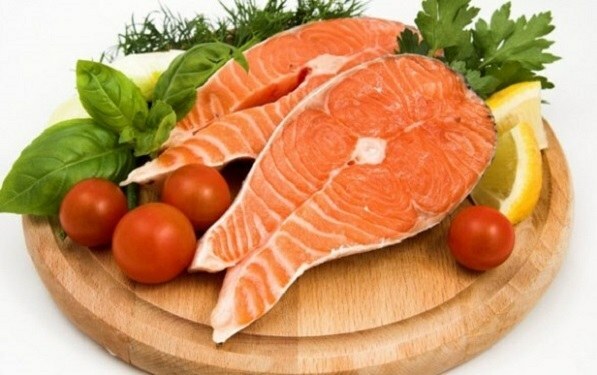 If you want to keep your normal weight, have good performance of all body systems, give preference to low-calorie fish. Cod. These fish are often called the Queen of the Northern seas, because its meat is extremely tender and soft. However, the cod value is not only sophisticated gourmets, but also nutritionists, because it contains negligible calories (26 kcal per 100 g). The latter fact also allows dietitians to recommend its inclusion in the diet of those who struggle with excess weight. Polyunsaturated fatty acids omega-3, which is rich in cod, regulate blood sugar levels and leave no chances of overweight. At the bottom of a deep frying pan or casserole put the oil. Pieces of cod, place in pan on top of oil. Half lemon cut into thin slices and place on fish. Peel the onions and carrots, slice them and cover this vegetable "cushion" the contents of the pan. Add salt, toss black peppercorns, Bay leaf, pour water so that it barely covered the fish, and simmer on a slow fire until tender. Tuna. This is another low-calorie fish with its characteristic dense pinkish-orange, sometimes verging on dark red, meat. One hundred grams of fresh tuna contain from 90 to 140 kcal. It would seem, not so little, but is balanced by the presence in this fish unique omega-3 acids, so people with excess weight can safely include tuna dishes in their menu. Recipes of cooking – a great many. One of the most popular "Tuna reminsce". salt and ground black pepper – to taste. Peel and finely chop the vegetables without mixing them with each other. Fish cut into large pieces. The bottom and sides of pans, brush with vegetable oil and then lay out the layers in order: beets, carrots, onions, fish. Add salt, pepper, put a Bay leaf. And then lay out the vegetables in layers in reverse order, i.e. onions, carrots, beets. Fill all this with sour cream (if it is thick enough, you can dilute it with low-fat milk), cover and put on fire. Once it boils, reduce the heat to quiet and simmer until tender (at full readiness all the layers should be easy to protectice knife). Flounder. This deep sea fish is not only useful, but also dietary properties. In 100 grams of flounder contains 80-90 calories, little fat, it is rich in substances that can reduce the risk of obesity and diabetes, suppress the growth of cancer cells. Flounder is useful to include in the diet of people who want to bring their weight to normal. Nutritionists recommend cooking the flounder, like any other flat fish, gentle ways. The simplest of them – boiling or steaming. Clean the fish and put it in a saucepan. Add chopped onion, salt, pepper to taste and pour cold water so that it just covers the fish, not more. Cook over low heat for 15 minutes, then remove from the saucepan. For the broth, prepare the sauce: add the sour cream 20% fat and lemon juice from 1/3 lemon, cook while stirring for 6-8 minutes. Pour the sauce boiled flounder and get stuck in. Freshwater low-calorie fish. This category includes: pike (84 kcal / 100 g), bream (105 kcal), pike (84 kcal), carp (97 kcal), crucian carp (87 kcal), river perch (82 kcal) and some other species. Nutritionists recommend that people struggling with excess weight and suffering from diseases of the cardiovascular system, to include in the diet of freshwater fish as a great provider of easily digestible protein. The cuisines of the world offer hundreds of simple and complex recipes for freshwater fish. One of the most popular pike in the foil. Clean the pike. No cutting into pieces, drizzle with fresh lemon juice and leave for 15-20 minutes. Then RUB with salt and aromatic mix of spices (the choice depends on your taste, it could be black and red pepper, ginger, turmeric, thyme, Basil, etc.). Place the prepared pike on a sheet of foil and coat it with a layer of onions cut into thin rings. Then a layer of tomatoes, cut into slices. Salt. Then turn potatoes, also cut into circles. Again season with a little salt, pour a small amount of vegetable oil and wrap the edges of the foil upward, forming a pouch. Hands seal the foil on all sides. Bake the pike with vegetables in the oven, heated up to 200oC, for 45-60 minutes (depending on fish size). In the end, you will get a juicy fish with amazing taste and all the fixings. Bon appetit.